Using the information contained in this guide you will be able to create and edit your reading lists online. The purpose of this guide is to introduce you to the University of South Wales’ reading lists online system. The guide will demonstrate the features of the system, how to use the system yourself, and how to get Library support. It is suitable for new users as well as for those who need a refresher. By using the tabs at the top of the guide and the dropdown menus you will be able to navigate to the areas that are relevant to you. At the top of each page there is a summary describing what information you can find there. If you would like to have one-to-one training please get in touch with your Faculty Librarian to set up a meeting. Colleagues in the Library can also create reading lists on your behalf (contact your Faculty Librarian to discuss this). However, dependent on Library workloads, there may be delays if you choose to have lists created for you. One of the benefits to using the system is the ability to instantly update lists so we do encourage academics to use the system themselves. The University has been creating reading lists online for many years. The ultimate goal is to have a reading list for all modules, in line with other institutions. 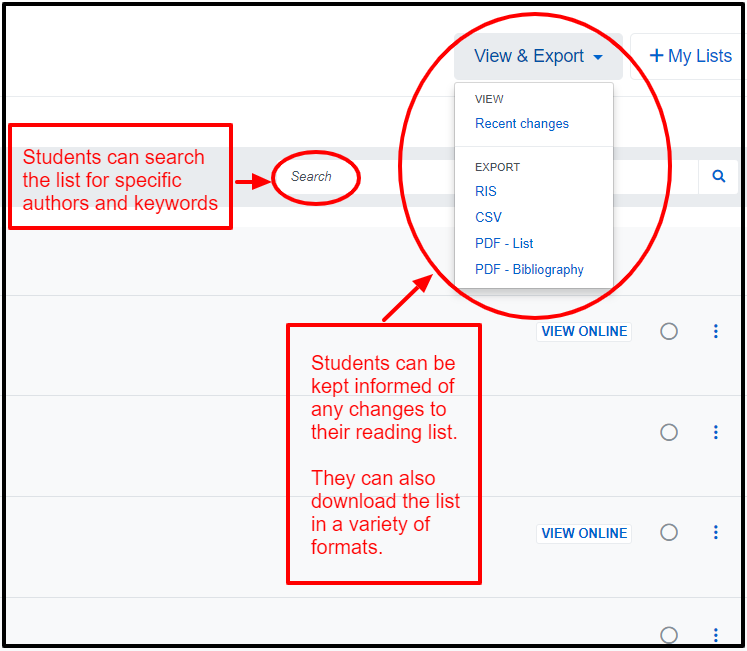 By creating reading lists online you can provide a resource that allows your students to link directly to many of their essential materials from within their Blackboard module. 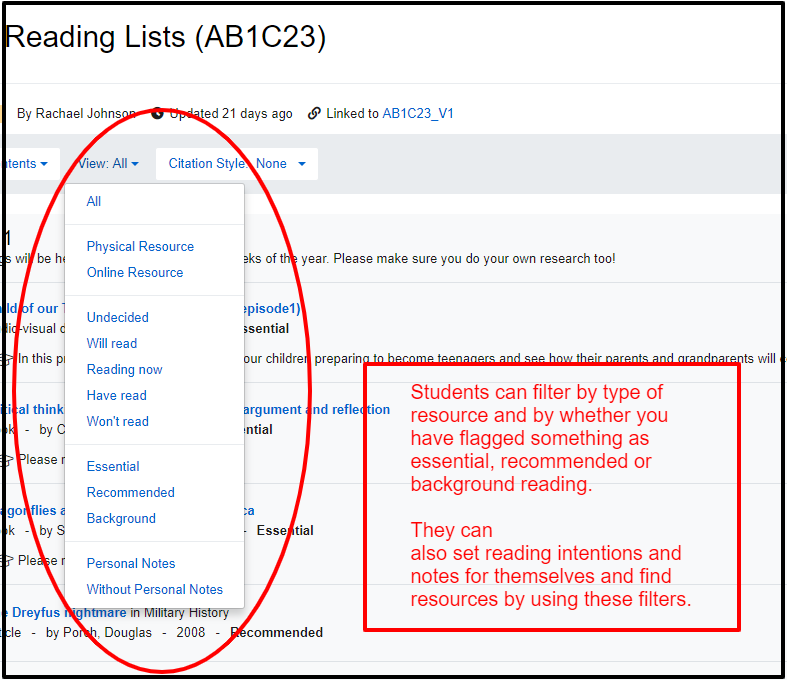 You are able to edit the list whenever you wish, providing your students with up-to-date resource information. For more information about resources and materials, please contact your Faculty Librarian. The Aspire reading lists system is easy to use. Your resources are gathered by “bookmarking” them while browsing the Web. 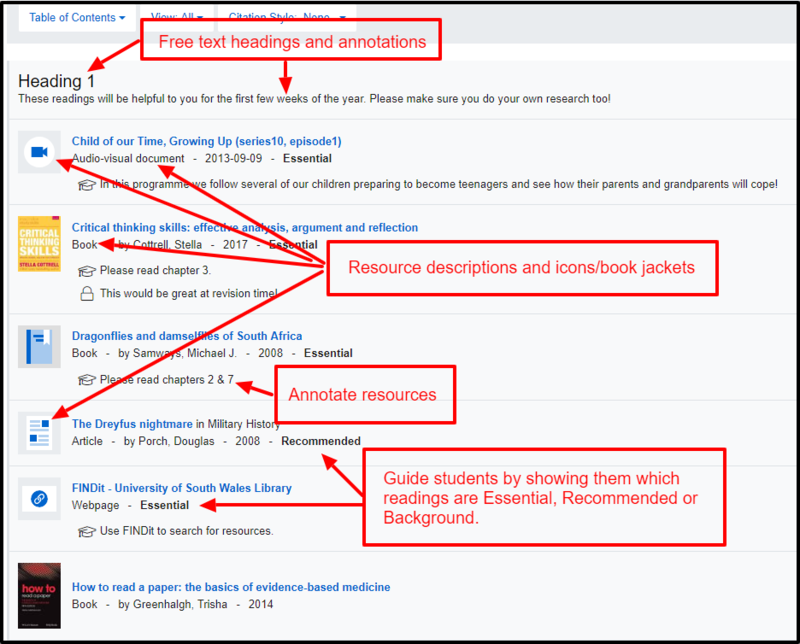 These resources are then stored in your own Bookmarks area, ready to use in your reading lists. The creation and editing of your reading lists is achieved by “dragging and dropping” resources and headings. 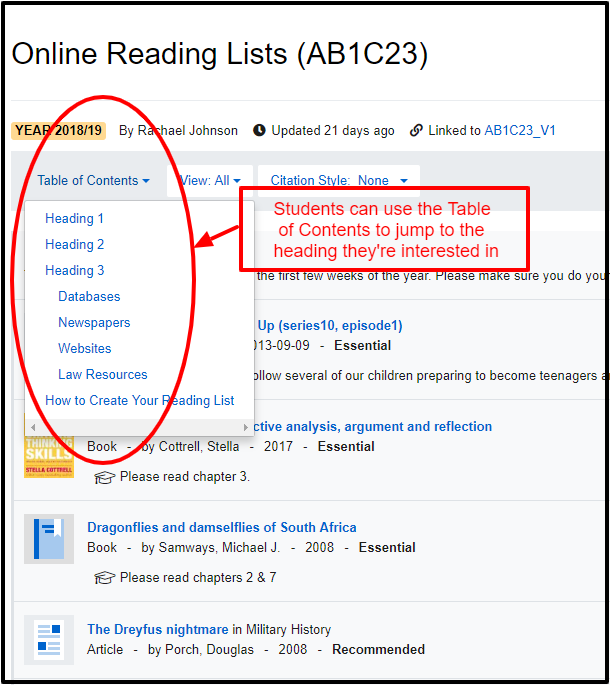 Lists and individual items can be annotated to guide your students’ reading and you can also contact the Library from within your reading lists. When a student clicks the Reading List button in their Blackboard module, their reading list will open. The following images show the student view. They include most of the options you have when creating your own reading list. If you would like to look at the live version, to see some of the resources that have been included, please click here. Here is an example of resource details. Information is dependent on what type of resource it is.